Today NASA’s New Horizons spacecraft passed the Orbit of Neptune exactly 25 years after Voyager 2 passed the same planet. At the time it passed the orbit Neptune was 4 million kilometers away as it proceeded on it’s orbit around the sun. To celebrate this milestone NASA talked about the mission of New Horizons as it quickly approaches the Pluto/Charon system. 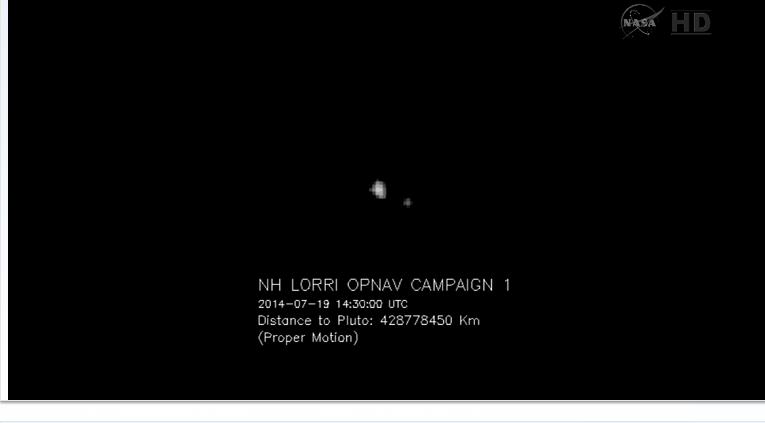 New Horizons is already taking images of the Pluto/Charon system as it approaches and will continue to as it gets closer. Due to the distance from the Sun the New Horizons spacecraft is powered by a radioisotope thermoelectric generator (RTG) which will give it the ability to perform science for many years with the hope of travelling to a secondary object in the Kuiper Belt after the Pluto/Charon flyby. The New Horizons spacecraft has the following scientific instruments that will be used during the Pluto/Charon flyby next year. Ralph: Visible and infrared imager/spectrometer; provides color, composition and thermal maps. 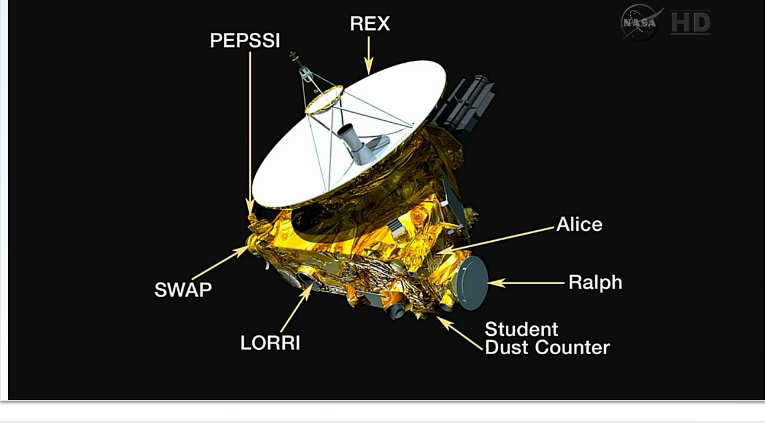 Alice: Ultraviolet imaging spectrometer; analyzes composition and structure of Pluto’s atmosphere and looks for atmospheres around Charon and Kuiper Belt Objects (KBOs). REX: (Radio Science EXperiment) Measures atmospheric composition and temperature; passive radiometer. LORRI: (Long Range Reconnaissance Imager) telescopic camera; obtains encounter data at long distances, maps Pluto’s farside and provides high resolution geologic data. SWAP: (Solar Wind Around Pluto) Solar wind and plasma spectrometer; measures atmospheric “escape rate” and observes Pluto’s interaction with solar wind. PEPSSI: (Pluto Energetic Particle Spectrometer Science Investigation) Energetic particle spectrometer; measures the composition and density of plasma (ions) escaping from Pluto’s atmosphere. SDC: (Student Dust Counter) Built and operated by students; measures the space dust peppering New Horizons during its voyage across the solar system. This is the first spacecraft to visit the Pluto/Charon system and will give us an amazing amount of information that we have only been able to guess at until now. The image below shows Pluto taken by Hubble and Earth taken from the same resolution, as you can see from the image it is very difficult to determine anything from that distance.